Looking out the window, I was surprised to see four or five turkey buzzards in the yard. And one crow in the tree nearby, or maybe two. 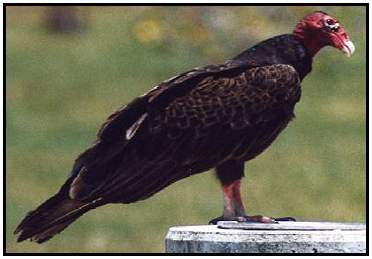 "Turkey buzzard" is the term everybody uses around here, although I think the correct term is "turkey vulture." I think they had a mouse, and the crow was interested in the dead mouse too. When two of the turkey buzzards flew off, one of the crows flew off behind them. The crow was probably thinking, "these guys are going to lead me to something good to eat." The turkey buzzards were probably thinking, "this crow wants in on the spoils but he ain't gonna get none." I skimmed the Wikipedia article and learned that these birds feed mainly on carrion, but they usually don't kill the animals themselves. They range through most of North America, though up north they're only seen in the summertime. Strange, I don't recall ever seeing one in Michigan, but they're very common here in Appalachia.